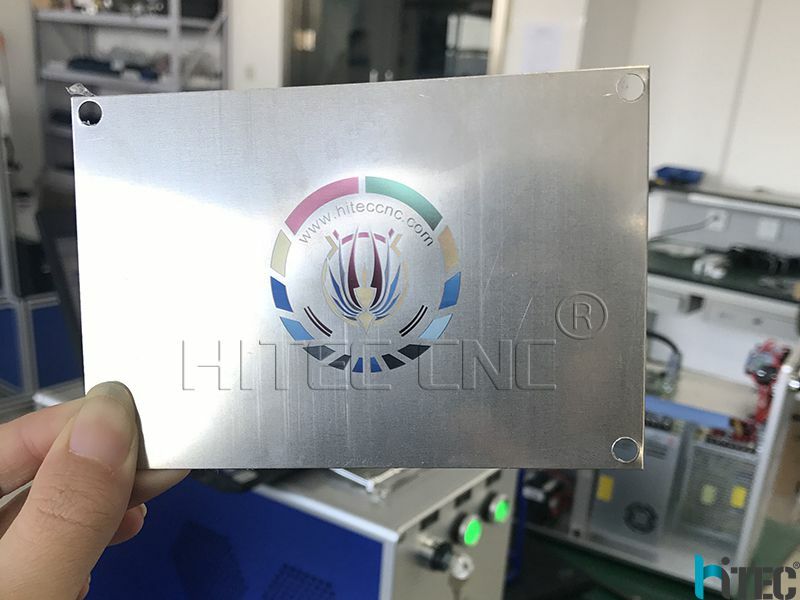 20w mopa fiber color laser marking machine for color marking can do black and white marking on most metals and plastics, black marking on anodized aluminum, color marking on stainless steel and titanium. Laser marking logo, text, figure, photo, QR code, bar code, serial number, on metal and plastic parts and tools. Laser marking stainless steel, brass, aluminum ( iPhone, iPad ), anodized aluminum, iron, gold, silver, titanium and other metals. Laser marking plastic, ABS, acrylic, Nylon, pvc, marble, ceramic etc. High Precision: Upto 0.0012mm, bring you the fantastic and satisfied marking effect. No Consumables: One Fiber marker can work for more than 10 years without any consumables. High Speed: 7000mm / second, is 3 to 5 times above that of traditional products. The fiber laser beam comes out from the fiber device directly, no need to adjust the laser optical path. Low consumption: <500W, is 1/25 ~ 1/10 times as that of Diode and YAG, more economized and environmental. JCZ controller, USB interface, swift and stable transmission, easy software operation, strong functions. High-quality scan head, with good seal, capable to prevent dust and water, small volume, compact and solid. Strong Compatibility: TTF Font, SHX, BMP, DXF, AI, PLT and other format files output from CorelDraw, PS, AutoCAD, etc.. Integrated Air Cooling System: The cooling effect is more excellent than the water cooling effect in YAG laser, no maintenance. Deep Marking: Max. 1mm stainless steel, suitable for the industries which need high precision and depth marking effect.